Romhacking.net - Review - It's great, but the job was left incomplete. 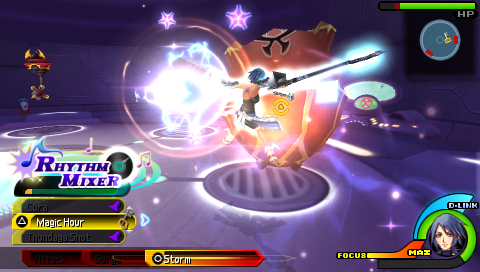 Kingdom Hearts: Birth by Sleep - Final Mix is an action role playing game for the PlayStation Portable. 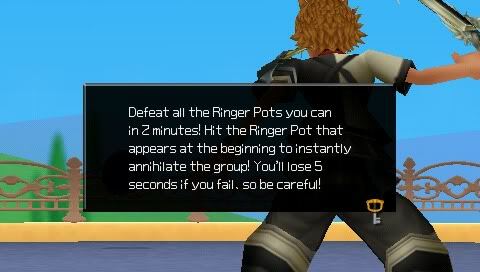 A HD version of the “Final Mix” edition of this game was included in the Kingdom Hearts HD 2.5 Remix package released in English worldwide for the PS3 and then PS4 in 2014 and 2017 respectively. 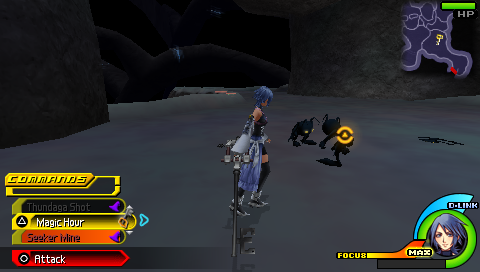 The patch translates Kingdom Hearts: Birth by Sleep Final Mix into English, mostly using the English localization of the original version. Everything is in English with the exceptions of the voices in the new cutscenes in the Secret Episode, most of the story recaps in the journal, and Xehanort Reports 10 and 11, which are replaced with a single line that says “DUMMY,” apparently because of space issues. Another thing you might notice is that subtitles sometimes skip lines or are out of sync. For anyone that doesn’t want to go through that relatively convoluted process, or anyone that doesn’t have a PSP needed for part of the patching, an xdelta patch (277 MB) can be found here. It's great, but the job was left incomplete. The translation is pretty solid, when it comes to the main story and its text. Menus are neatly translated and you won’t have much trouble winding through the game. 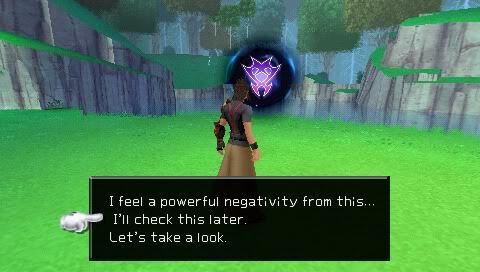 However, there’s a big problem for those who want to be in check with Kingdom Hearts’ expansive universe: A portion of the Journal couldn’t be translated due to ISO space. TruthKey somehow didn’t want to bother to mess with the file system in order to expand the ISO enough for the rest of the Journal text to fit into the game. 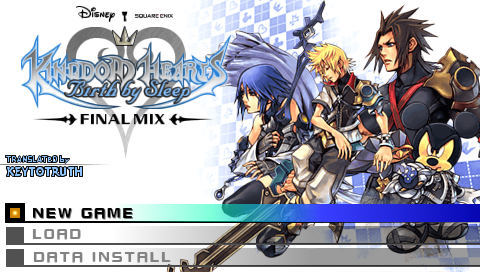 The game needs someone who could get this translation (Or, like it was done with Kingdom Hearts II Final Mix for the PS2, take the II.5 translation and voices) and add the full content into the PSP version.